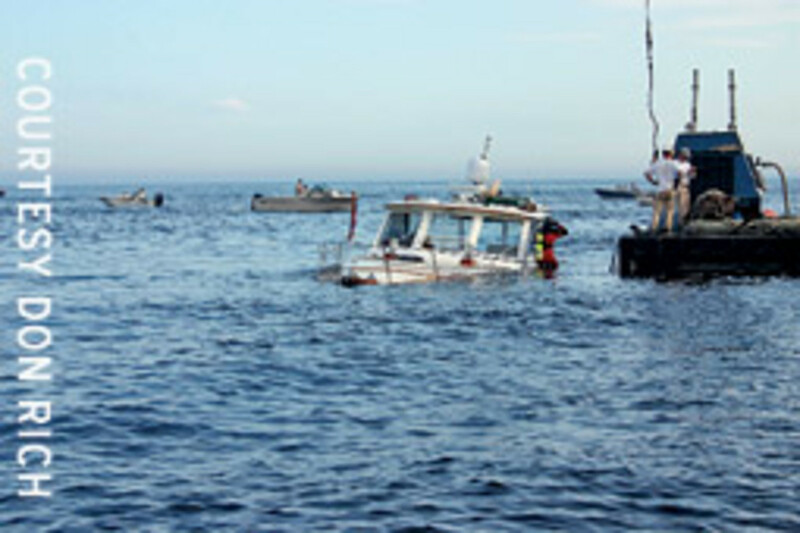 A 47-foot Alden picnic boat hit Watch Hill Reef off Watch Hill, R.I., around 1 p.m. July 3 and began sinking. 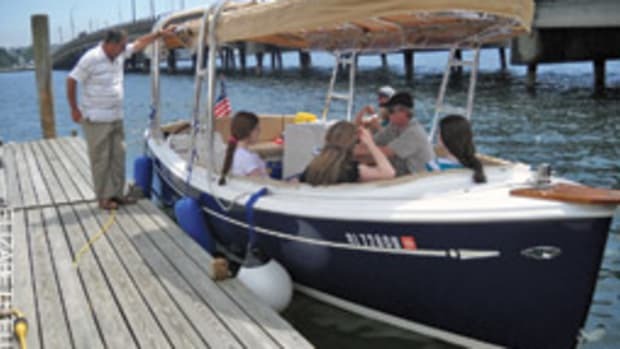 “We overheard via a third-party conversation that the boat was in distress,” says Don Rich, president of TowBoatU.S. 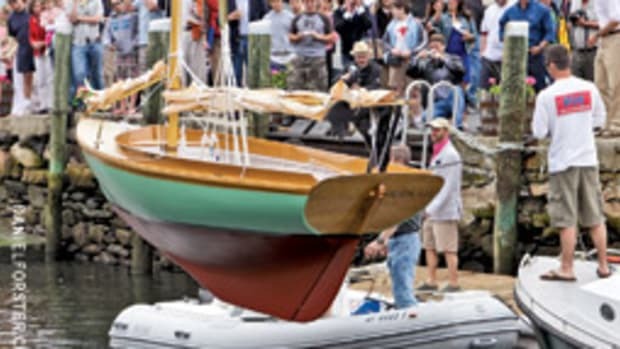 in Mystic, Conn.
Rich says two of their 27-footers and a Sea Tow boat arrived on the scene at 1:30 p.m. and two water pumps were making no difference on the fast-sinking vessel. The couple on the sinking boat was transported by one of the Sea Tow vessels to Dodson Boatyard in Stonington, where an ambulance was waiting. Meanwhile, the boat had a broken propeller, struts and rudders, and the hull was completely penetrated on the port side, according to Rich. There was also damage to the running gear on the starboard side. The boat contained about 500 gallons of fuel. 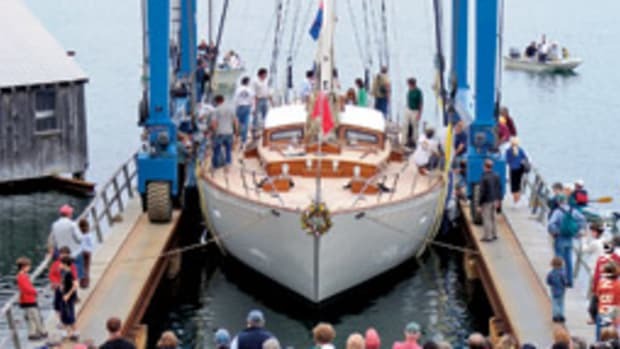 Rich says the crane then took the vessel to Dodson Boatyard in Stonington, where the extensive repair process began. Rich says the boat rescue was a seven-hour process. The area around Watch Hill can be tricky because of the reefs, currents and narrow passages, especially in limited visibility. It’s not clear what the visibility was at the time of this accident. “I tell people to always proceed with caution in that area,” says Rich.